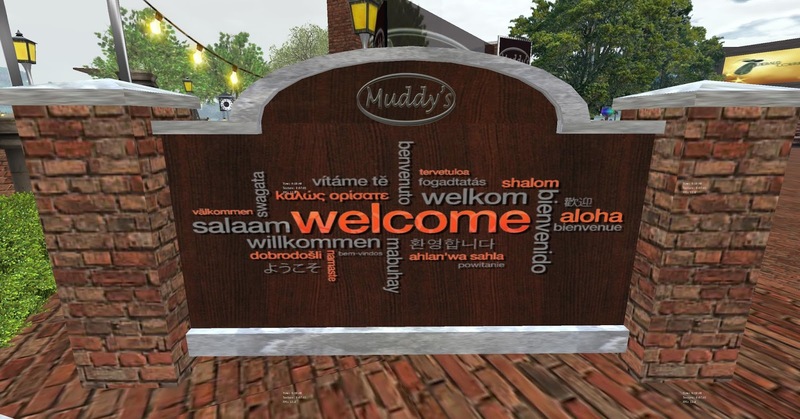 If you talk about clubs in Second Life there are very few with a history like Muddys and can say they are still one of the most popular in SL. 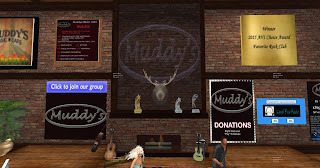 Muddys however has both history and is consistently in the top 10 of clubs. 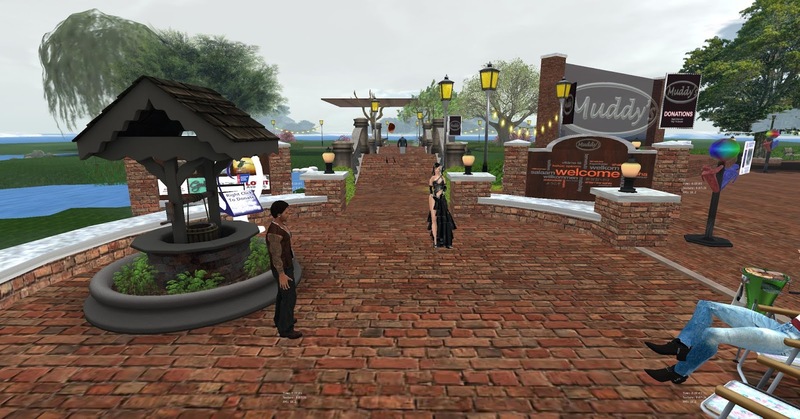 The landing area is nicely placed between the club and the shops that support it.When i landed i straight away felt like this was a nice friendly place as the layout reminded me of a country club somewhere. The brick landing area was a nice touch and was different to most other clubs who favour either concrete textures or wood. They also had a relay for life in second life vendor next to the landing area which was nice to see they are supporting the cancer charity. The stores are fairly large too and varied which makes a nice change to see some different names here rather than the usual ones. 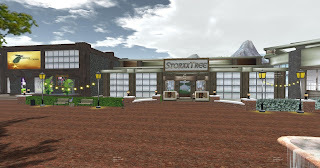 The shopping area is also large and spacious which means for an unhurried shopping experience and there was very little lag here considering how full the club was this was a good thing. Walking down the brick path to the club you walk through this lovely garden area which did look really pretty and was like walking through a garden at a country club. 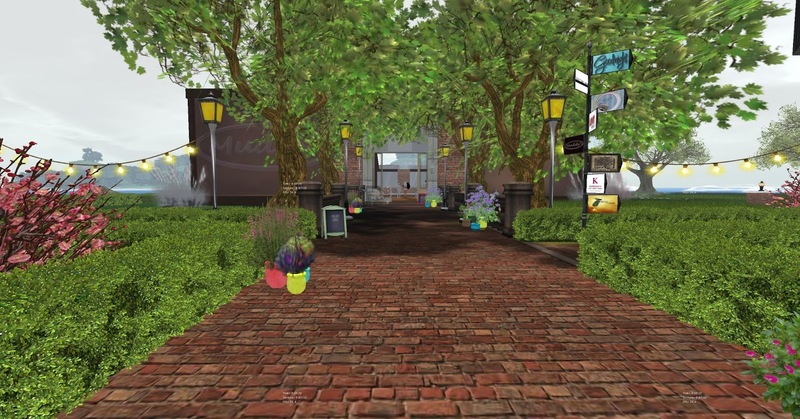 The variety of colours and plants did make this walk a nice experience rather than the usual walk past shops or nothing bland kind of walkway. Why do clubs have this big walkway to the club? Why not put the landing point next to the club? Well the idea is that when you rez the sim has to load all your items in and if you land in the club next to others then they will lag because you are loading in where as if the landing point is over 64m away the lag is reduced. This is why you can load in quickly to a crowded sim but then when you move nearer to the crowds the lag starts to hit. Luckily though at Muddys this was not the case as i did not lag on the walk up to the club even walking into the club i did not lag. The club itself is a nice looking building with a wooden effect floor and brick walls which make it look like a real building. I am guessing the architecture is based on an American bar design as you do not see this kind of building in the UK where i am from but it does look a good layout. It is easy to navigate even with a lot of people in. The stage is over to the right hand side as you walk in with the dance balls above the stage area. 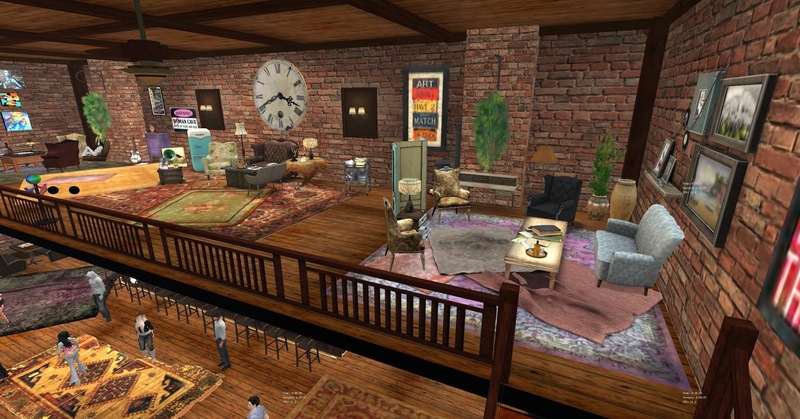 There is seating around the dance floor which is nice. The sim is rated G so this is a nice club if you want to come and hang out without all the swearing or other adult nature of some clubs in Second Life. Behind the stage area on the right as you walk in the club you can see the rules board which has some sensible rules posted if you are going to run a nice club without too much lag or annoyance to other VIP's. 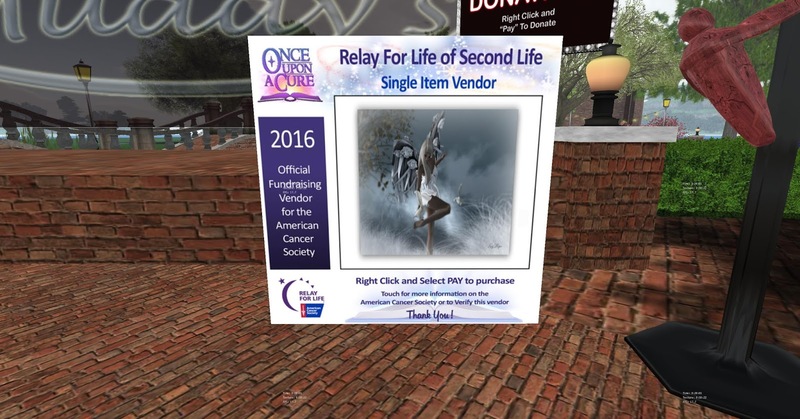 There is also a group joiner under the rules board and a club donations board along with info about the stream the club uses. Also there is an avie choice award for favorite rock club. 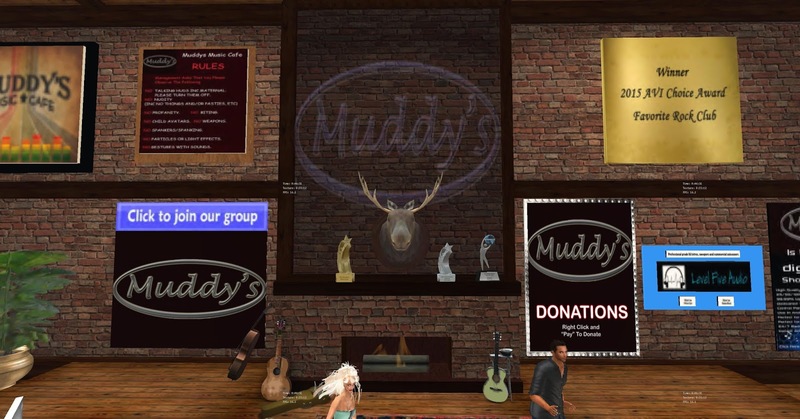 Muddys is named after the original owners dog in real life and the club has been in Second Life for many many years. 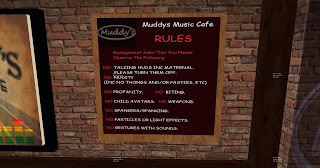 You dont stay in the top clubs in SL without doing something right and Muddys shows how to run a good club and keep it fresh and appealing while still being able to make people feel at home and welcomed. You are personally thanked for coming down by the host when you arrive which i thought was a nice touch as some clubs seem to have forgotten this. 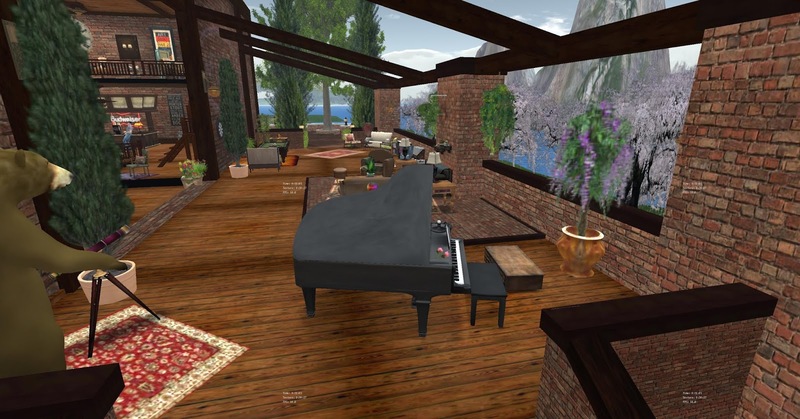 The music played here is radio friendly and is a mixed bag of genres which again is good because you get to hear tunes that you might not hear elsewhere and makes a refreshing change from a 1 genre club. 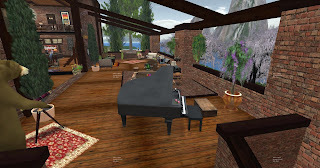 The dress code is relaxed too but modest as the sim is rated G so no showing naughty bits or having an x rated avie. So did you agree with our review? What do you like about Muddys? How often do you visit? 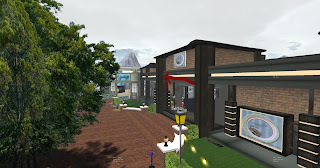 What do you like about the shops? Is there anything we missed out on the review that you would have liked to seen in the post? Tell us in the comments section below. 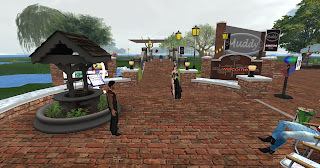 Thanks for joining us on the review of Muddys Cafe and as always ill see you next time.